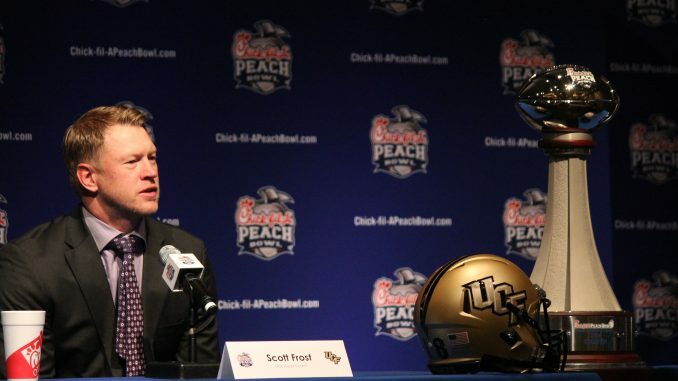 All photos taken by Sarah Kelliher. 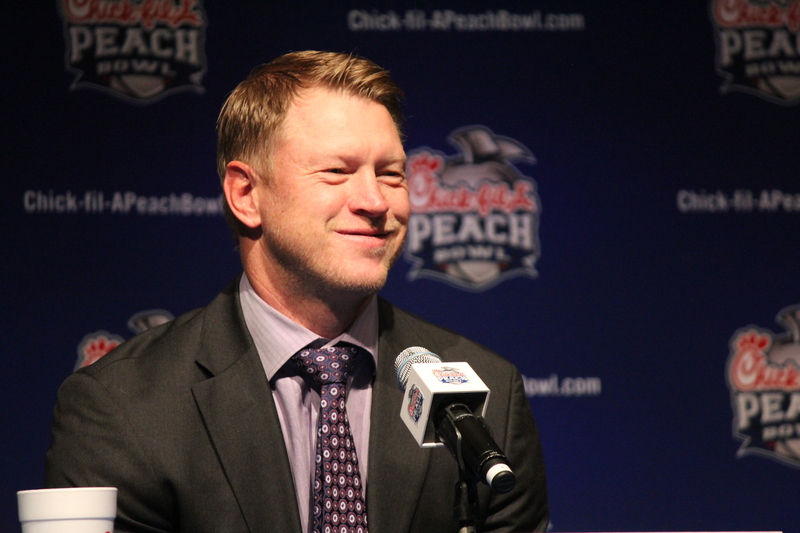 UCF’s Scott Frost smiles before answering a question at Sunday’s Chick-fil-A Peach Bowl Press Conference. 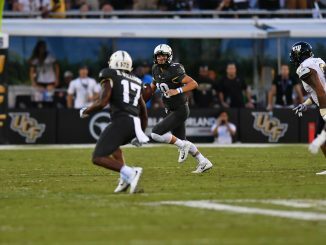 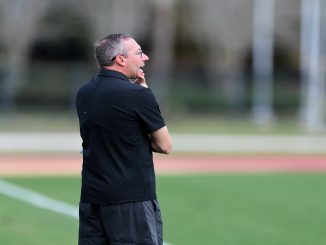 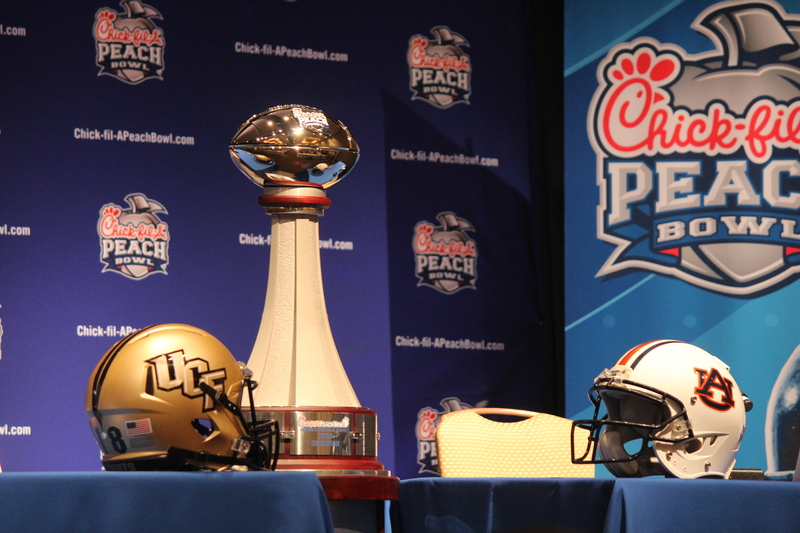 #10 UCF and #7 Auburn face off in the Chick-fil-A Peach Bowl Monday Jan. 1 2018 at 12:30 PM. 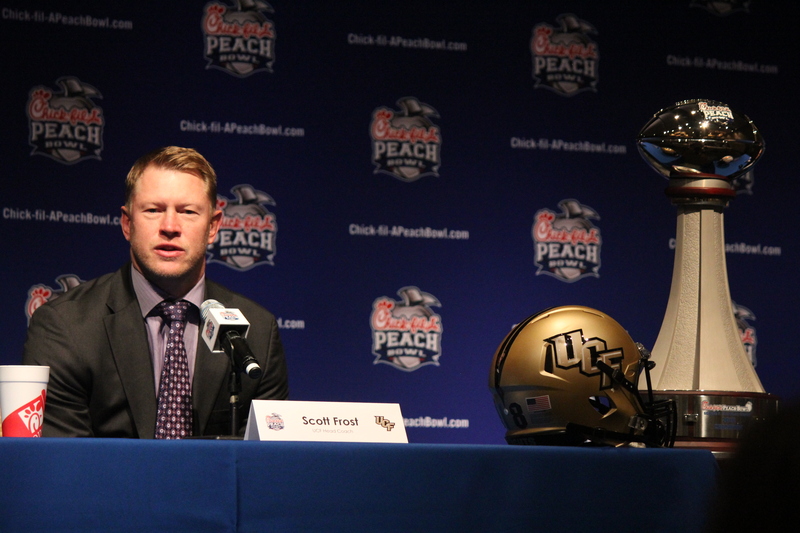 UCF’s Scott Frost answers questions during Sunday’s Chick-fil-A Peach Bowl Press Conference. 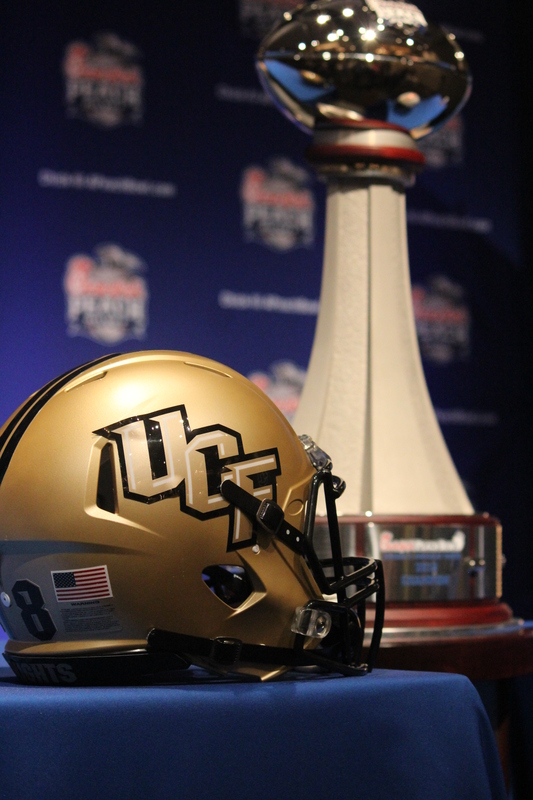 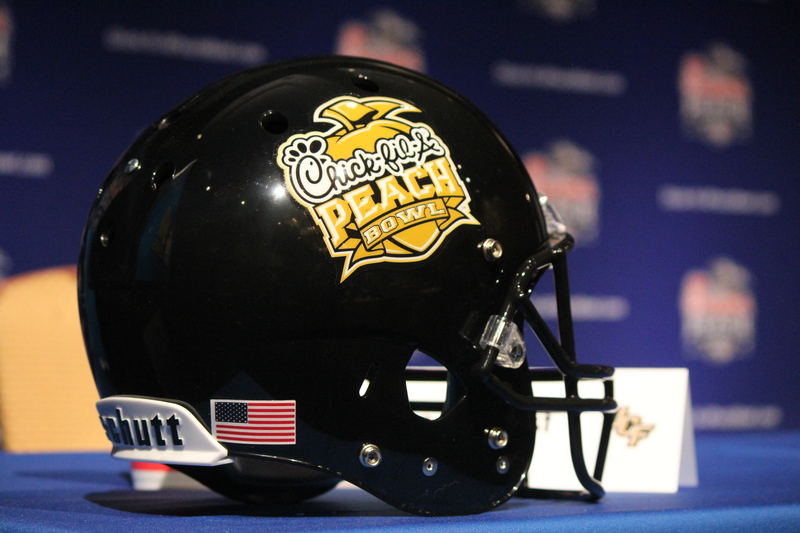 The official Chick-fil-A Peach Bowl helmet was on display at Sunday’s press conference. 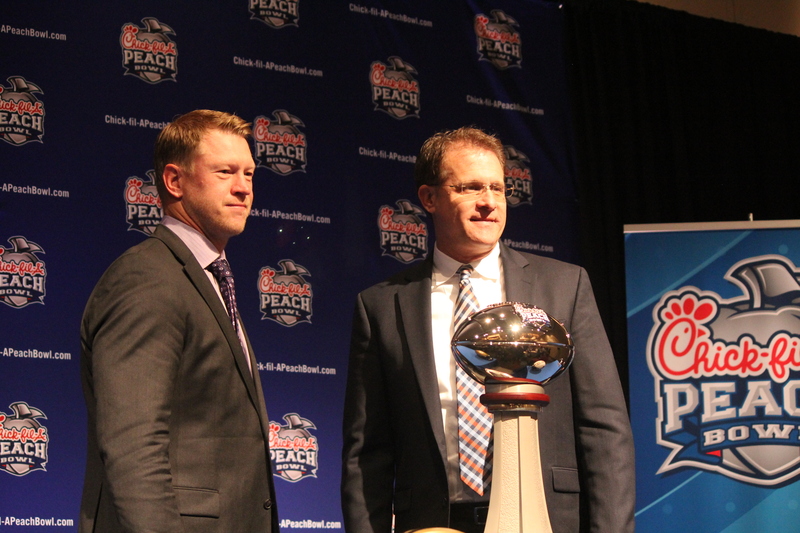 UCF’s Scott Frost and Auburn’s Gus Malzahn pose with the Chick-fil-A Peach Bowl trophy.